So you've made the smart decision to move over to Printavo. You've done your research, watched all the videos, and you are ready to go. We're in this together. We're here to help you. We're ready to go. Are you? Here are 5 tips for Moving Your Shop Over To Printavo. 1. Create Users for ALL Employees. You have an unlimited amount of users. Printavo works very well when you have everyone on board. Gone are the days where you have to pay per user. Create a username and account for each employee with limited access so you can begin to automate your shop. 2. Draw Out A Workflow. You will see several statuses pre-built into Printavo with the ability to add more. Make sure you have a workflow laid out so you can easily model Printavo to work for your shop. Your workflow will become more and more intricate as you grow. Start small but have a paper model that you can easily think through. You've probably clogged your email client with tons of customer emails. When you get a new customer, load them into Printavo as a new customer, and after you create your first quote, use the messaging tool in Printavo to communicate with them. It will keep all your messages organized. Don't worry, there is always a copy sent to your email inbox for redundancy to make sure you don't miss a beat. This way you can begin to really see the power of Printavo. 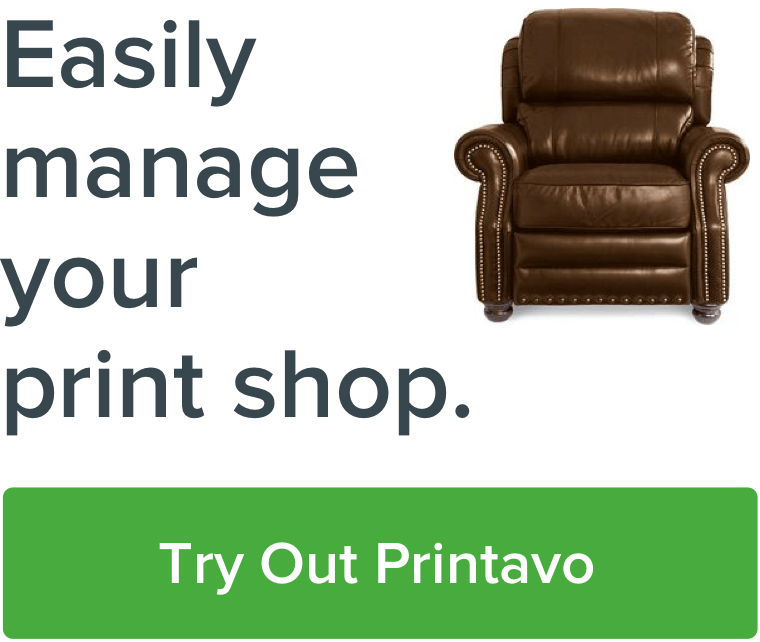 As the leader in your business, you need to fully commit yourself to using Printavo. That being said make sure you spend an afternoon watching all the tutorial videos so you have a thorough understanding of the software. Spend time teaching your employees how to use it, similarly to riding a bike. Let them create quotes, change statuses, apply payments, and understand your new tool. Reach out to us if you have questions! 5. Invest in Tablets or Computers. Printavo becomes fun to use when all your employees have easy access to the tool. Invest in a few screens and lightweight computers that can be accessed by your staff around the presses. Set up a computer right around your equipment so your employees can easily pull up orders, change statuses, and can feel like they are really using it to its full potential. Printavo has so many great resources for the mindset you need to be in as an owner as taught by our own staff here. We have amazing Facebook Groups with other business owners and Printavo Users to share best practices. Reach out to us if you have questions or need help transitioning. When used properly Printavo can give you the freedom and autonomy to run your business the right way.